I will share all my CT tags, masks, templates and tutorials here, and anything else I might create in the future. This website contains some AC at times, so be warned. If you want to keep up with the stuff I do, please feel free to like my Facebook page. Everything I release here, will be posted there as well, so you don't have to miss out anymore. 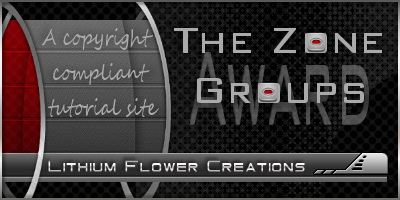 This is a 100% copyright compliant website, and this award from The Zone Groups was awarded to me showing my dedication to upholding copyright compliance. Click on the award to go to The Zone Groups. I got my own Android app! I got my own Android app! 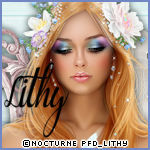 Now you can keep up with what I post on my site, even when you're not by your pc. You can also use it when you do my tutorials if you like :) Just click on the Download button on the image to the right or use the QR Code..
Free Cloud Storage For Your Computer or Smart Phone! No Fee's or Fuss 2GB Secure cloud storage FREE! Sign up by clicking the image below and get a bonus 500MB! This is perfect for storing your PSP stuff like tags AND if you want to share something with your PSP friends. Taking Back PSP is in the simplest of terms, a community event designed to bring taggers together for a fun evening, and at the same time raise funds for Make A Wish Foundation. Since 1980, the Make-A-Wish Foundation® has enriched the lives of children with life-threatening medical conditions through its wish-granting work. The Foundation's mission reflects the life-changing impact that a Make-A-Wish® experience has on children, families, referrals sources, donors, sponsors, and entire communities. 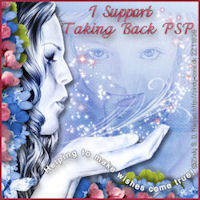 Please join us for our next Taking Back PSP event. 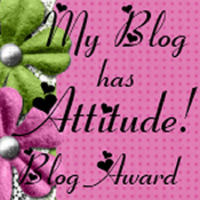 Keep an eye out for an announcement Click on the image to go to the blog for more information.